Saliva Prove They Still Have The Metal ! 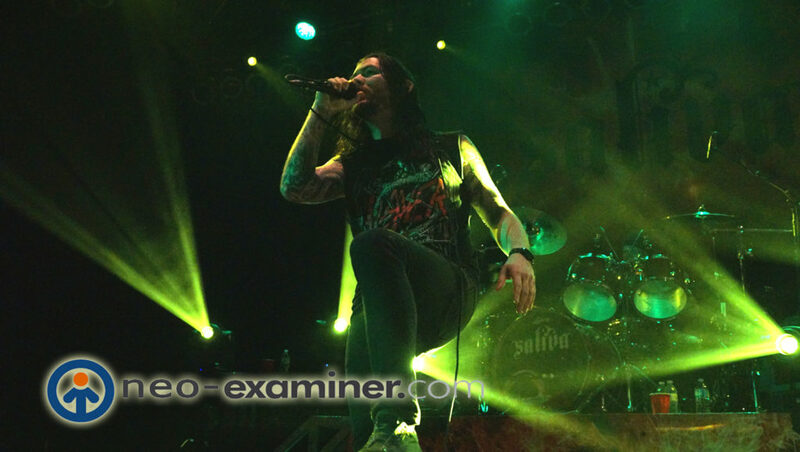 Cleveland, Ohio – The House of Blues played host to one of the best bands to come out of the 1990’s Memphis, Tennessee’s own Saliva rocked the house to the foundation earlier in the month. The band has gone thru several line up changes in their career , however this current line up is strong, powerful , talented and ready to rock . The eleven song set included both classics and new material to the delight of the fans. Some of my favorites included ” Superstar ” and ” Click Click Boom” and ” Your Disease ” The song ” Trust ” always meant something special to me as well . The other bands on the bill included Akron’s own Devil Strip and The Everyday Losers and both acts did a great job . I am often asked what I think of replacement members in bands and here is my official statement on that . Name one company you know that has had the same personal for close to 20 years . A band is not just a brotherhood it is also a business and people change , move on and explore other venues so to them I say just enjoy the music. Author EditorMaxMagPosted on June 28, 2017 Tags Cleveland, House of Blues, SalivaLeave a comment on Saliva Prove They Still Have The Metal !